Getting to fall asleep at night can be a hard thing if you’re suffering from anxiety or stress. That fast train of thought when you hit the pillow can prevent your body from entering a resting state needed to fall in a deep sleep. 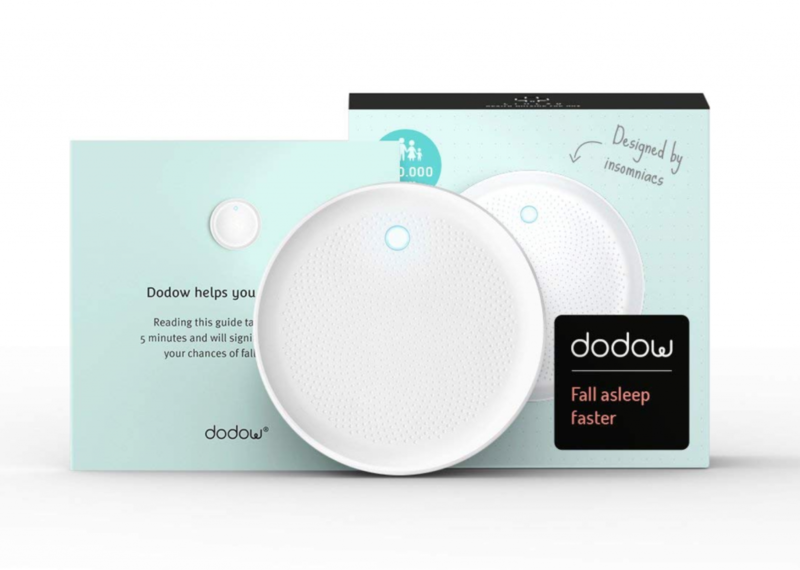 The Dodow Sleep Aid device is a smart tool that helps you develop a nightly routine to cut down the time it takes you to fall asleep, regardless of all the things going on inside your head. This is a circle shaped metronome you put next to you on your bedside table. It projects a pulsating, soothing blue beam of light on your ceiling that you’re supposed to follow with your breathing. You inhale when the beam expands and exhale when the beam retracts. Following along with this pattern for about 8 minutes will effectively slow down your breathing pattern. Also, your focus on the light will decrease your mind jumping around like mad. Your brain will reach the alpha state and you’ll be asleep before you know it. Dodow automatically shuts off with its internal timer, so you’ll have another worry less. This sleep gadget is a natural way for falling asleep that doesn’t involve unhealthy sleeping pills or expensive yoga therapy sessions. The Dodow is a must have gift for any insomniac or troubled sleeper. You can get it for about sixty bucks on Amazon via the link below. 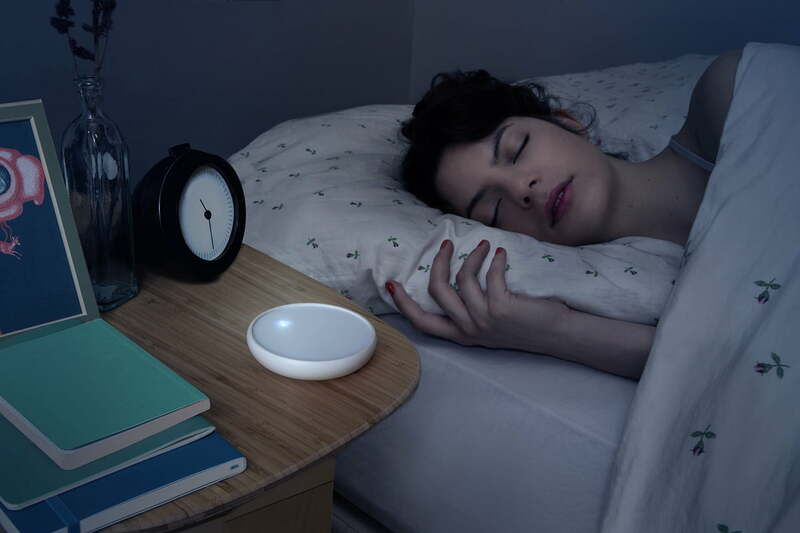 Dodow - Sleep Aid Device - More Than 300.000 Users are Falling Asleep Faster with Dodow! Dodow is a metronome with a light system that teaches you how to fall asleep naturally, without taking any medicine. Tap the touch-sensitive surface once for the 8-minute mode and twice for the 20-minute mode.